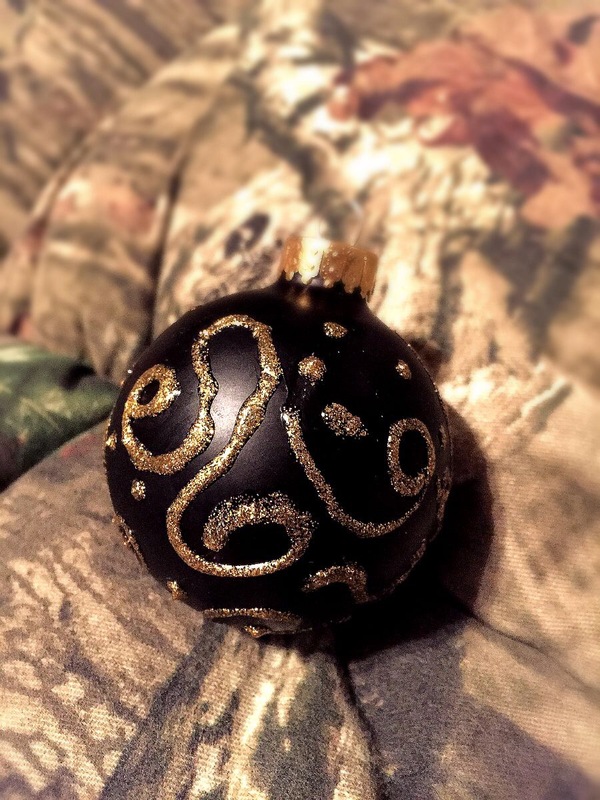 I decided to try and decorate ornaments to attach to gifts this year, instead of the usual bows and curling ribbons. I thought it’d be a nice touch and would help get me out of my blah wrapping habits. *grin* Anyway, I’ve been experimenting on a variety of regular colored bulbs, regular clear glass bulbs, and tiny clear glass bulbs. Glitter, floor wax, mod podge, stickers, acrylic paint, dimensional paint, and glitter glue have all been fair game. Not always with great results, but it keeps me occupied and being creative while I’ve been pretty much laid up for several days. 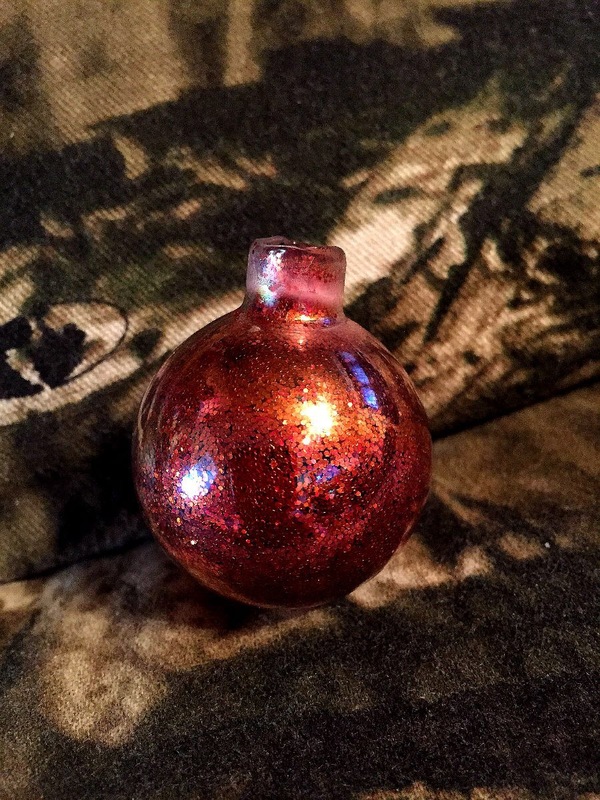 Sadly I had a beautiful regular sized bulb done with mod podge and copper and red glitters that shattered. I tried to recreate it small scale with one of the tiny bulbs, but the colors don’t pop as much when small and especially not when photographed. Lol It’s still kind of pretty I think, although only the red really shows on “film” apparently. 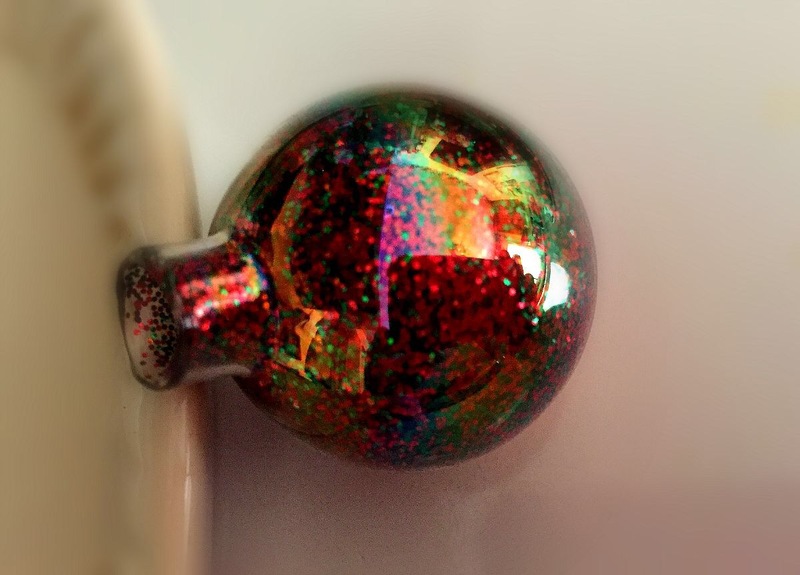 The copper gleams a bit where light is really hitting, like in the reflection of my ceiling light. 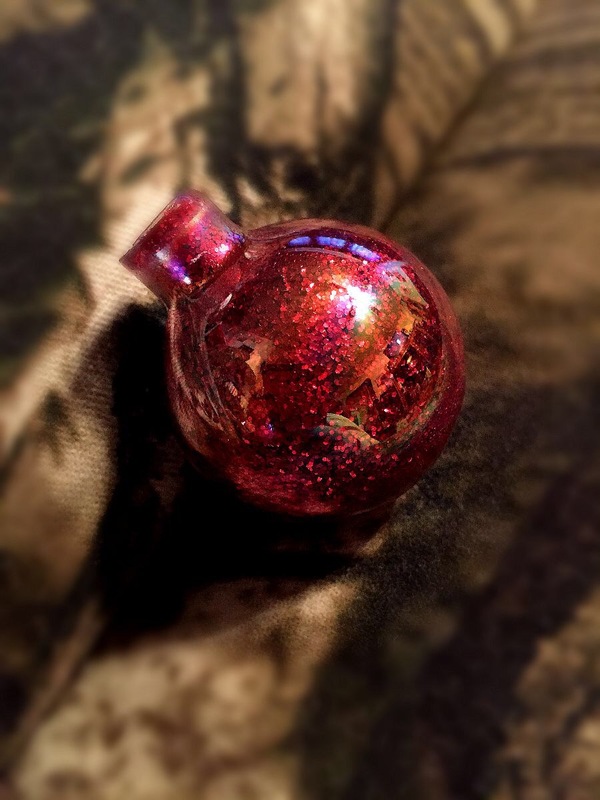 I also did a few solid red glitter tiny bulbs and then one tiny bulb where I mixed green and red glitters, all with the floor wax for the adhesive. I learned during this that glitter throws off the camera’s focus, so most of my pictures are blurry despite my best efforts. Lol At least there’s proof that I tried, though. 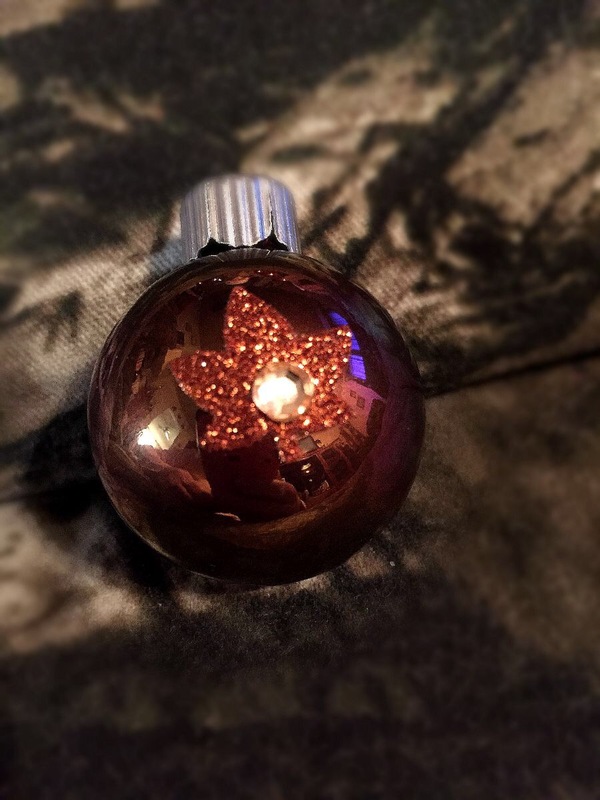 I used an acrylic copper paint that looks remarkably plum when pixelated and added some gorgeous golden brown and burnt sienna glittery leaf stickers with little rhinestones around the outside of the bulb. 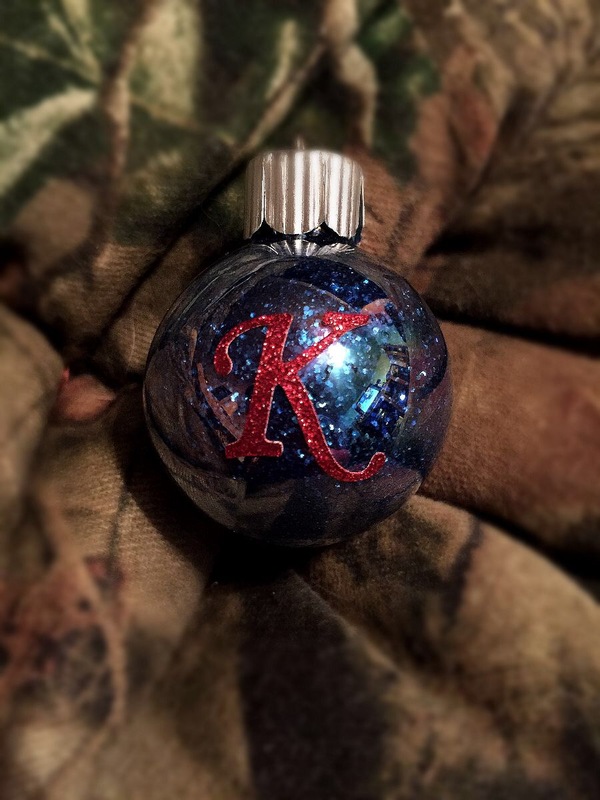 Then I added a first initial sticker to another glitter bulb for a fully personalized little ornament for my niece to remove from her gift and add to her little bedroom tree if she wants, too. 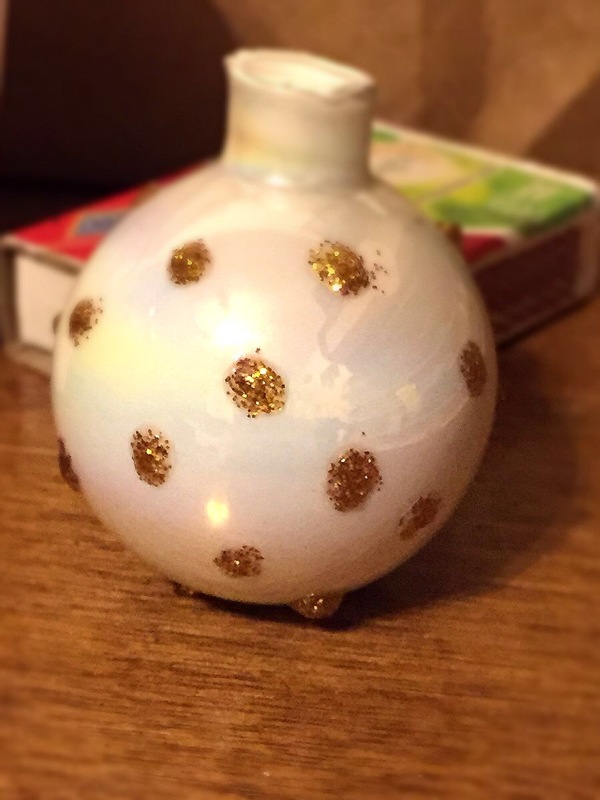 For the dimensional paint and glitter glue I had two bulbs turn out well. 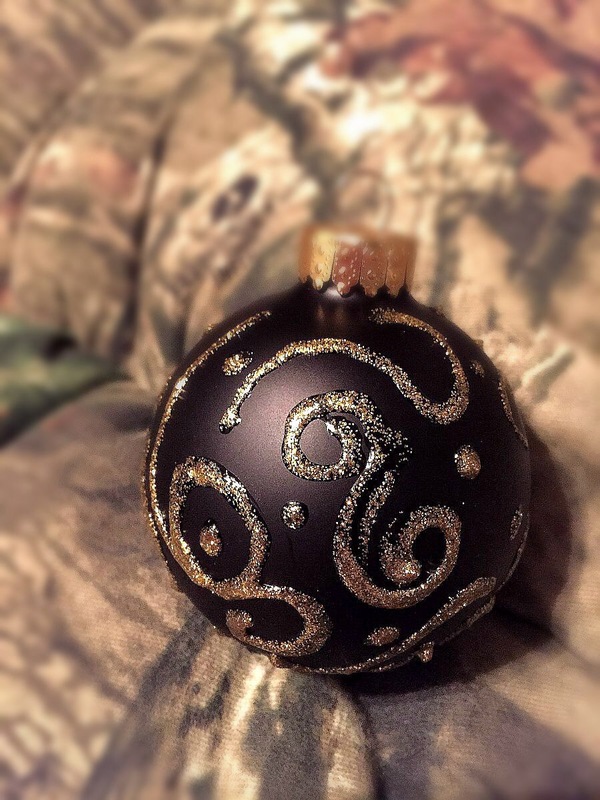 Both were very obviously done freehand and I really like them, especially where the paint developed a bubble and left a double line on the black ornament. I think I will try to do a few more patterns with the dimensional glitter since it looks neat and the world needs more glitter. Lol. Anyway, those are a few of my little projects that I’ve been occupying myself with. 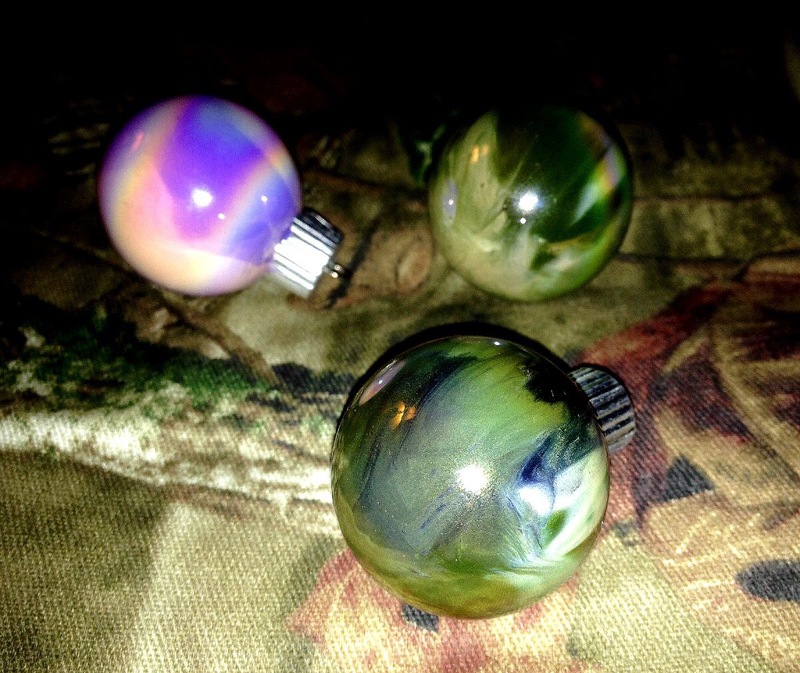 I have a few more that are still drying, so I couldn’t take pictures of them, and I don’t want to make this post seriously boring. 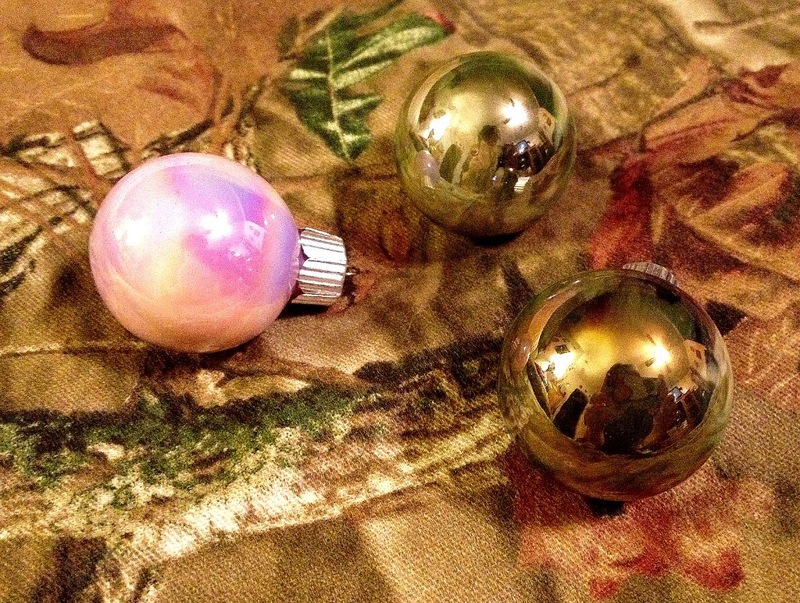 *grin* Do you like to embellish your gifts? If so, any inspiration or tips you’d mind sharing? In the meantime I hope you have a wonderful day and find a few moments to pamper yourself. You always deserve it. 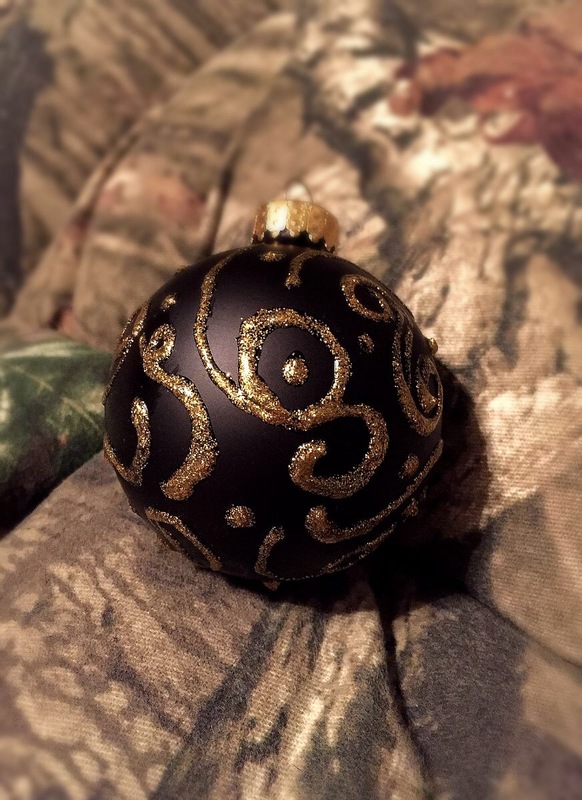 Posted in Make at Home, The Holidays and tagged crafts, DIY, Ornaments. Bookmark the permalink.